"You wanna do this segment with me?" As a TV meteorologist, it's Khambrel Marshall's job to foresee what sort of weather systems are about to drift on through. But apparently, pups breezing by are a bit harder to predict. 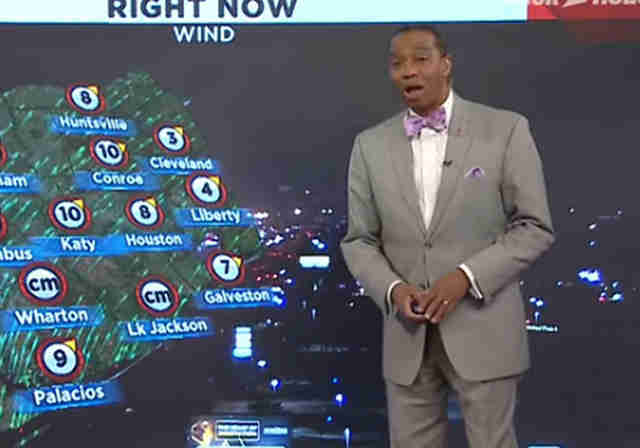 While delivering his weather forecast over the weekend, Marshall, a distinguished reporter for news station KPRC 2 in Houston, Texas, unexpectedly found himself sharing the screen with something fluffy and white. And it wasn't a cloud. There, in the middle of the live broadcast, a little dog decided to casually insert himself into Marshall's report. 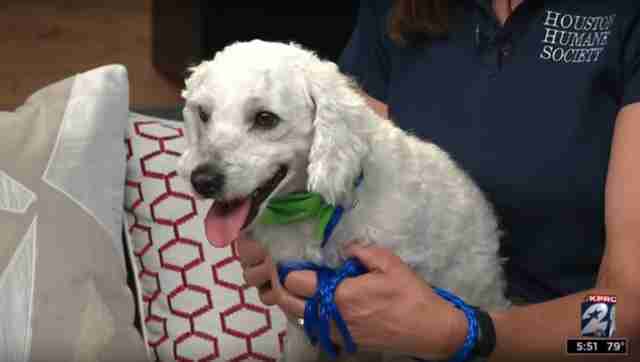 The adoptable shelter pup, named Angel, was slated to appear in the next segment, aimed at finding him a forever home — but apparently he grew tired of waiting for his moment in the spotlight. And as you'll see, Marshall handled the interruption like a real pro. Angel had stolen the show — transforming an otherwise routine weather report into something truly adorable. "This is the cutest thing ever!" one viewer wrote online. Others echoed that sentiment. But Angel wasn't done yet. After the interruption, Marshall went on to learn more about Angel in the segment he'd originally been scheduled for. One thing was clear from the start, however. "He obviously loves weather — or weather people," Marshall said. With any luck, all this added exposure Angel's receiving will lead him to what he needs the most — a forever home to call his own. For more information about him and other adoptable pets in the Houston area, contact the Houston Humane Society.